SECURE YOUR SUMMER INTERNSHIP TODAY! As many of you begin to look towards the end of the semester and what is planned for your summer, you will want to remember that the best way to secure a career position is by working in an internship position now! Most all companies are looking for quality students interested in becoming part of their workforce, so now is the time to secure your future! As I have written before, an internship is a position in a company that College Students can apply for that will allow them to work in an organization in order to gain hands-on work experience, transformative skill experience, a network of mentors and potentially a full time position. 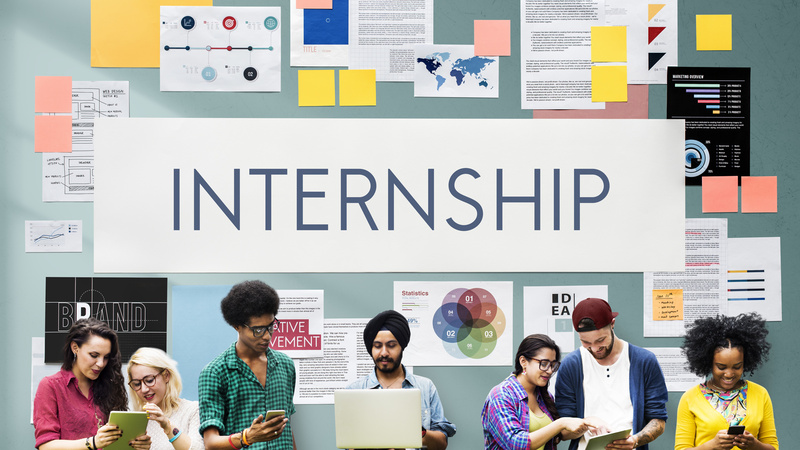 The value of an internship is that it can provide you with an opportunity to experiment and pursue careers that match your academic and personal interests. The benefits of participating in an internship are many. There are work skills; teamwork, independent work habits, skill testing, as well as career skills; networking, building professional contacts, expanding your qualifications on your resume. All of these are very important as you look beyond your educational aspirations and move into your career. Internships can be short or long term, paid or unpaid, and for credit or not for credit. You will have to determine what you need and how each of these impact your overall decision in selecting an internship. There are pros and cons to both short and long term internships that you should consider before taking one or the other. A short term internship might allow you to have more than one throughout your academic studies. If you do not like the company you are interning for you have a short time frame in which to ‘stick it out’. A three (3) month internship in one company can provide insight into a position but may not provide you with enough time to actually apply your skills and abilities with a lot of feedback. You may not be looked at for a full-time position because people in the company will not get to know you and your skills in such a short time. You will normally be tasked to do 1 or 2 small things rather than explore larger projects at the company. The majority of long term internships pay. The starting salary is usually higher than minimum wage but is dependent upon the area and company you are looking to join. At the entry level (freshman or sophomore) you may be looking at no to minimal pay. This may increase as you enter your junior or senior year, but remember you are there to apply your knowledge and skills and network not to become rich. It doesn’t take a lot of searching to find a paid internship – both short and long term. To have the best of both worlds you will want to have your internship gain you college credit. Some colleges have a credit internship program. Ask your career center about this option. If you are currently at a 2-year college and looking to transfer to a 4-year college take a look at their internship programs and what they have to offer. Several of the Minnesota State 4-year Colleges and Universities have programs that give you credit for your internships! There are two resources that we recommend when looking for internships. Minnesota State CareerWise and Indeed. Both have a number of resources to offer you. CareerWise Education provides you with three options. Explore Careers, Plan Your Education, and Find a Job. Each of these areas are meant to move you from student to employee. In Explore Careers you can assess your current skills against jobs you are interested in, you can create a career plan and you can explore different types of careers and positions offered throughout the State of Minnesota. The Plan Your Education section allows you to understand how to prepare for college and career, gives you tips on paying for your education and gives you links to the Minnesota State Colleges and Universities that meet your needs. Your college career or counseling center can help you find an internship that suits you, but doing a little homework on your own can also lead to amazing opportunities. The great news is that there are a lot of free resources available for you and one is how to find an internship! In the search area type in “Internships”. This will take you to the CareerWise page dedicated to providing you with information on seasonal jobs, Rising Star Program, and other options for you. You may have heard of Indeed for finding jobs, company reviews, data on current salaries and a location to submit your resume. Indeed.com also provides insight into open internships. Currently there are nearly 1000 open internships on indeed. Titles such as financial advisors, software testing, project management, human resources, tax audits and so many others are available. Most internships on this site are also paid. Currently companies like Target, AdvisorNet, SBS group, Honeywell, 3M, Best Buy, Cargill, BlueEarth, Pella Windows, Polaris Industries are looking – just to name a few. Another way to get involved and learn more about Internship is by joining IT CONNECT. This is the community network for all things related to the Minnesota State IT Center of Excellence. Once registered you gain access to a host of options aimed at advancing your academic knowledge and skills to the next level. Read blogs, register for hands-on learning and conference events, and search for employer to connect with. It is a resource that can move you forward. Remember, an internship allows you to gain valuable feedback on your abilities, skills, knowledge, and provides you with hands on work, additional training from the company, skill development and application and experience within a corporate setting. The experience you gain through an internship will help you use the knowledge and skills you are currently learning and apply them to real life experiences. And finally, do your research! What are your passions and interests? Which companies fit our personal brand? Where do you need to increase your abilities? Does your college offer paid and for credit internships and how will an internship help me find a full-time meaningful position when I have completed my education? Once you answer these questions you will be well on your way to securing a meaningful internship.